Most videos are available for download in .wmv or .avi formats. Some of the videos below are links to other sites. A35: "Resurrection Truth and Hope" (a three way conversation) Newest! A34: "Biblical Scholar Gary Habermas Discusses the Resurrection and NDEs!" Gary is interviewed on the Christian-Apologist.com internet show by S. J. Thomas and Joel Rodriguez. He discusses Doubt, Jesus' Resurrection, and Near Death Experiences. A brief review of Gary Habermas' work over the years. Gary Habermas and Mike Licona discuss a conversation had previously with (then-atheist) philosopher Antony Flew on the evidence for naturalism. A25: Interview on the Question: "Has God Revealed Himself in a Special Way?" Dr. Paul Maier and D. James Kennedy are also featured on the video. A20: TBN hosts Dr. Habermas on the show Praise the Lord. The interview begins at time 15:30 in the video. A19: Interview with Apologetics.com: The Minimal Facts Argument. A18: Gary Habermas at the BeThinking.org conference in London, 2011. The Bethinking National Apologetics Day Conference: "Countering the New Atheism" took place during the UK Reasonable Faith Tour in October 2011. Christian academics William Lane Craig, John Lennox, Peter J Williams and Gary Habermas lead 600 people in training for how to defend and proclaim the credibility of Christianity against the growing tide of secularism and New Atheist popular thought in western society. 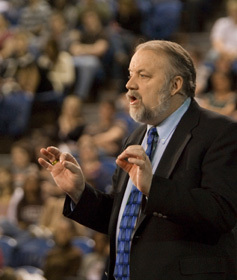 Gary Habermas is interviewed on 8 sessions of the "One-Minute Apologist" show. 145. How Do We Suffer Well? 144. Were 1st Century Christians Delivered from Suffering? 143. Does the Bible Always Promise Escape From Suffering? 142. Should Christians Be Surprised by Suffering? Note: These are very large files that we are not able to divide or compress any further. We suggest that you download the files and watch them on your computer as two separate steps. To do this, right click (PC) or click hold (Mac) and select the option to save the file from the resulting pop-up menu. The download time will vary depending on the speed of your internet connection. A Response to ABC and Peter Jennings' Special, "The Search for Jesus"